This guide gives some resources on Copyright and Fair Use for the UTA community. This is only a guide to resources, not a legal document. Plagiarism is taking IDEAS without giving credit. 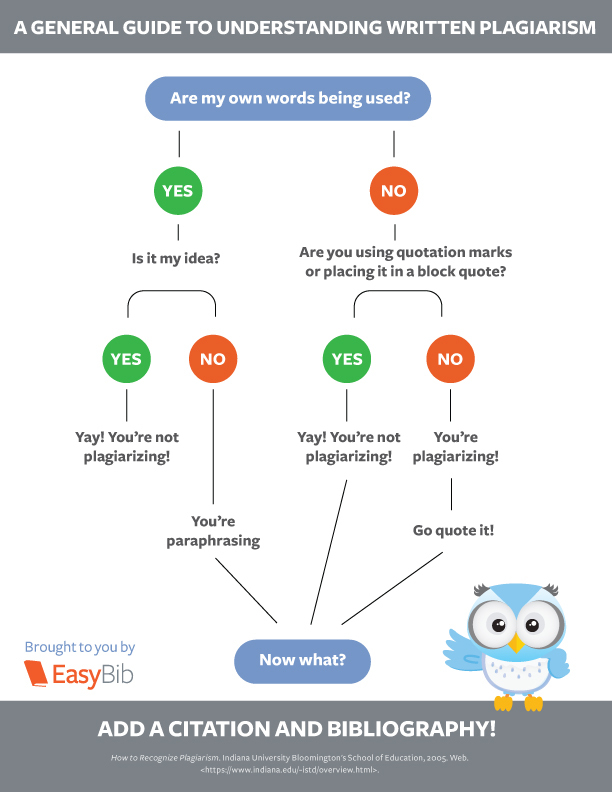 Learn how to accurately acknowledge sources and avoid plagiarism. Every academic discipline has an associated style. Always check with your Professor which style they require. Purdue Online Writing Lab provides an extensive list of disciplines and associated styles. Guide to research, mechanics, format, documentation, citing, abbreviations, etc. for term papers, with sample pages of a research paper in MLA style. "This resource, [is] updated to reflect the MLA Handbook for Writers of Research Papers (7th ed.) and the MLA Style Manual and Guide to Scholarly Publishing (3rd ed.)" MLA style is commonly used in the Humanities. This guide contains formats and examples for the source types most commonly cited by students. Learn how to properly format your paper in MLA style in Word. Chicago style is commonly used in the field of History. APA style is often used by scholars in the social and behavioral sciences.